Superdry men's Curtis leather jacket. 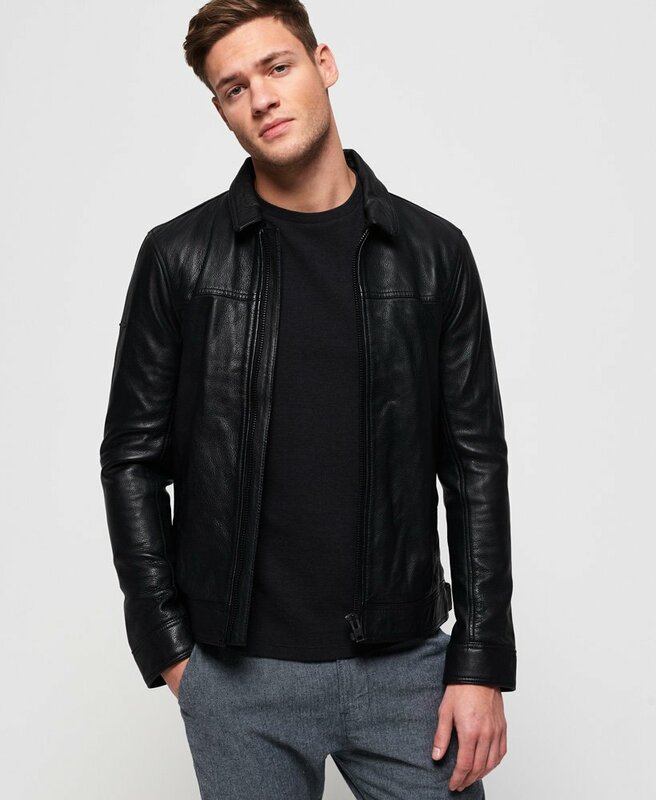 This premium leather jacket features two front pockets with a popper fastening, adjustable straps on the hem for your perfect fit and a front zip fastening. Finished with popper fastenings on the cuffs and a Superdry metal badge on the sleeve. This is the perfect choice for a fresh and current wardrobe.